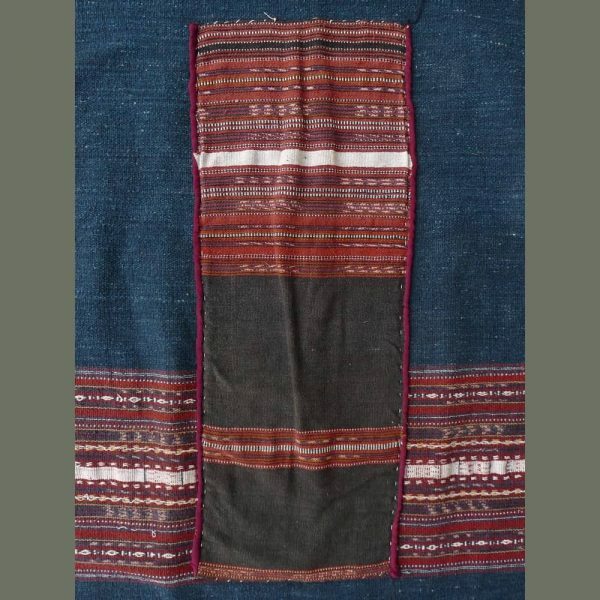 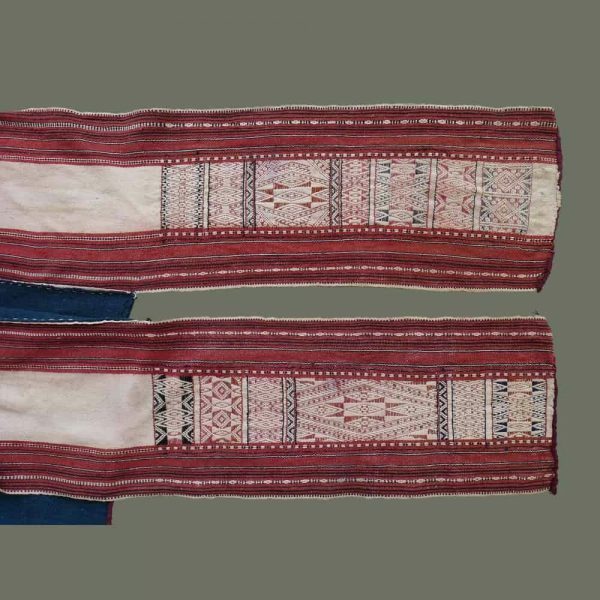 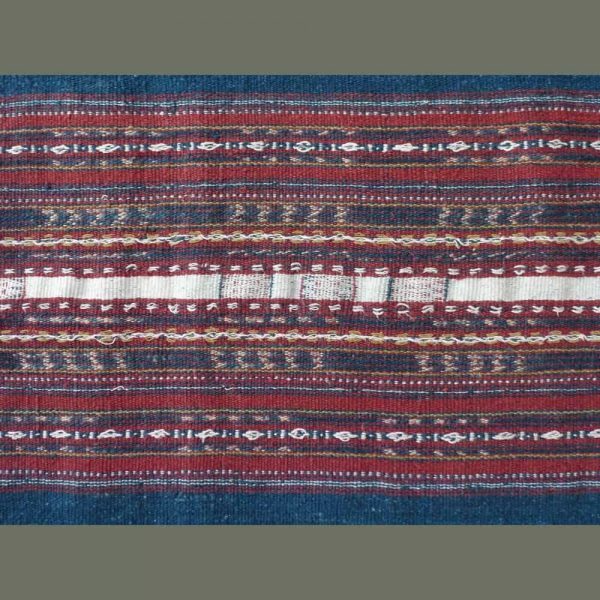 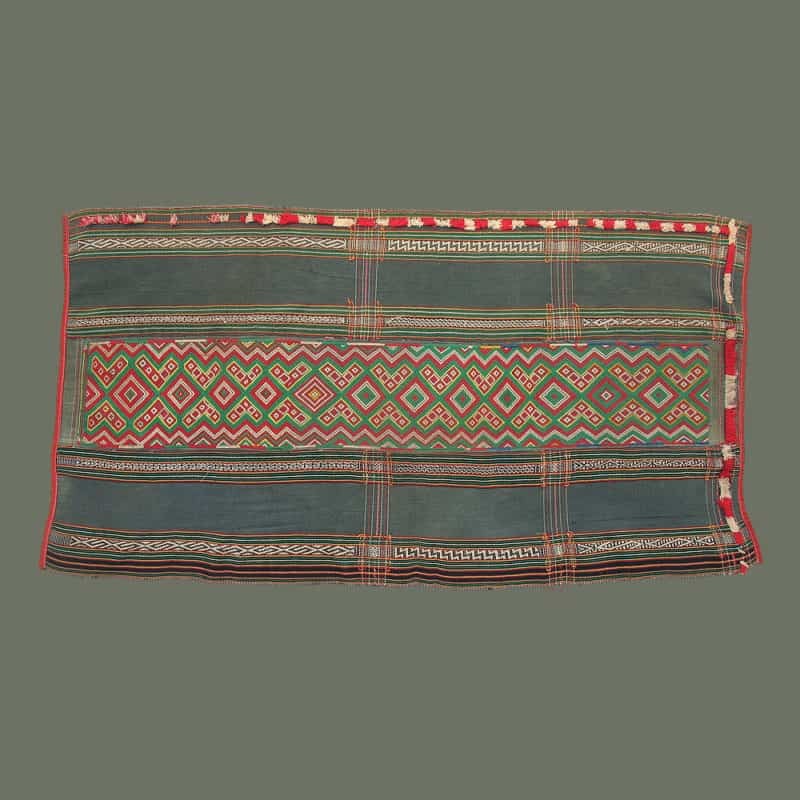 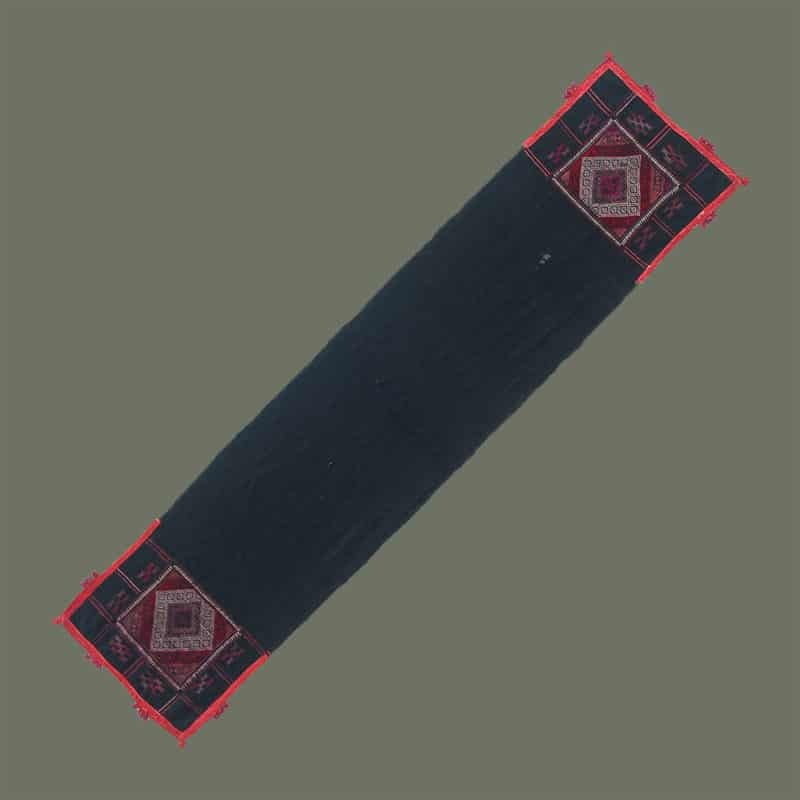 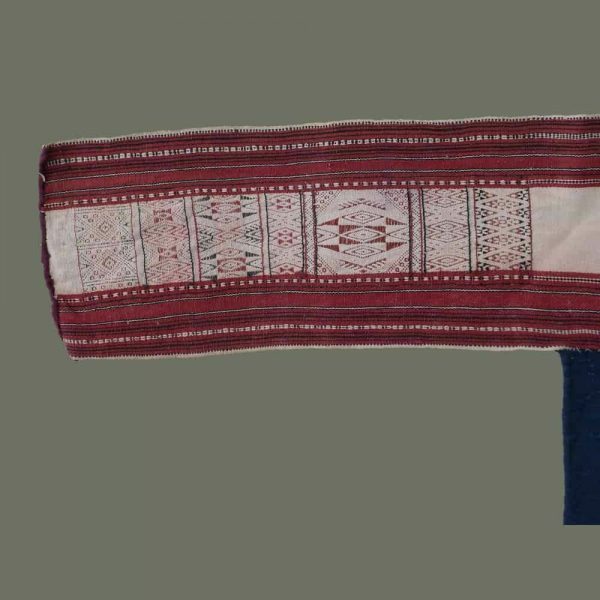 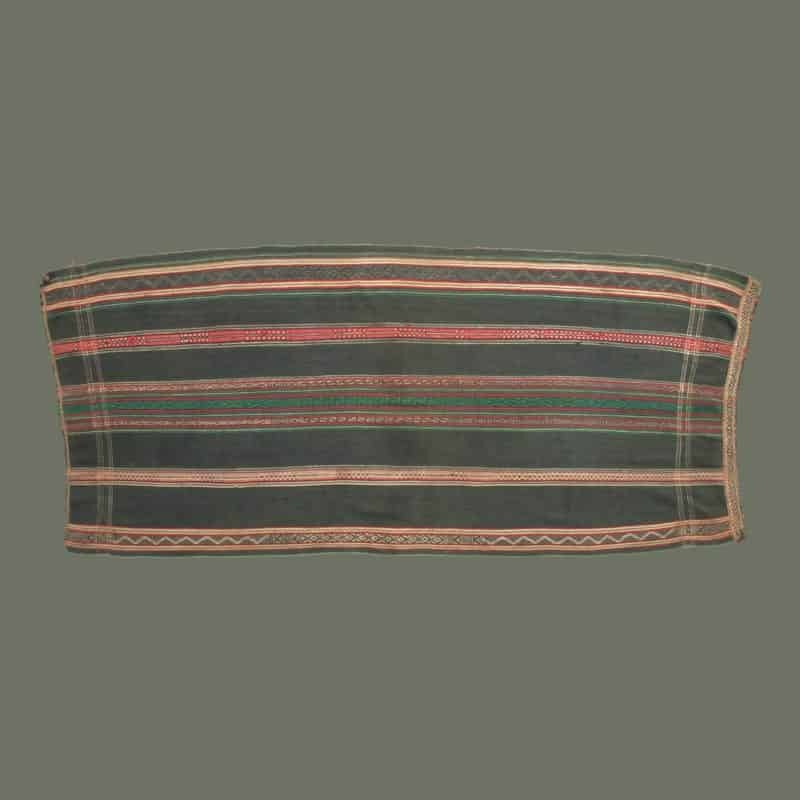 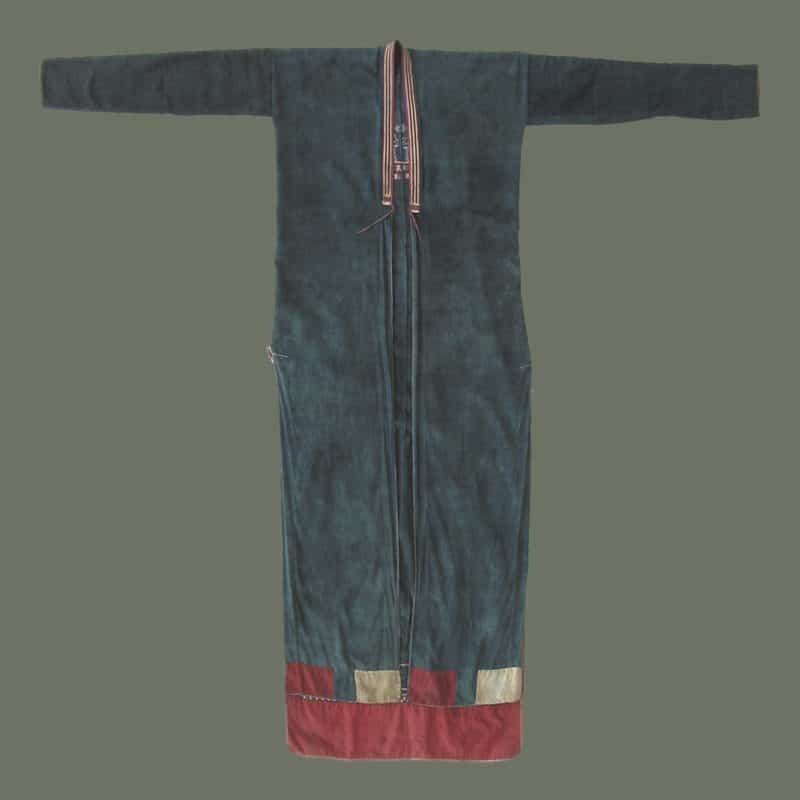 From the Bahnar people in the Central Highlands of Vietnam, this handsome wrap skirt is composed of two pieces: a wide, soft cotton waistband with fine supplementary weft designs, and the body of handspun, indigo with an attractive wide decorative band in the center, plus an additional decorative panel sewn at right angles to the waist. 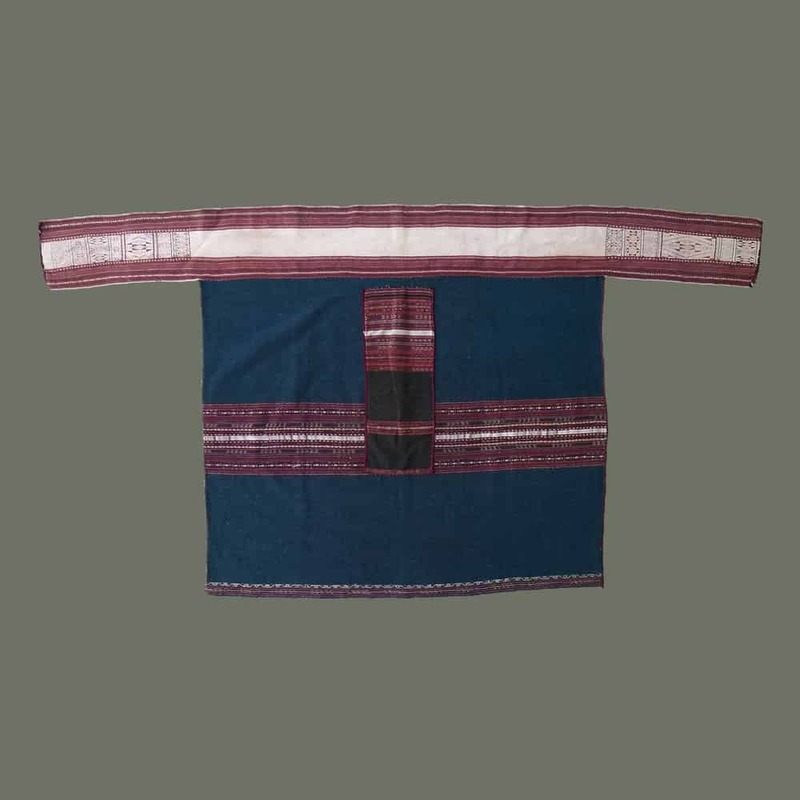 Dyes appear to be all vegetable, with the exception of some commercial cloth edging.  This displays very graphically when flat. 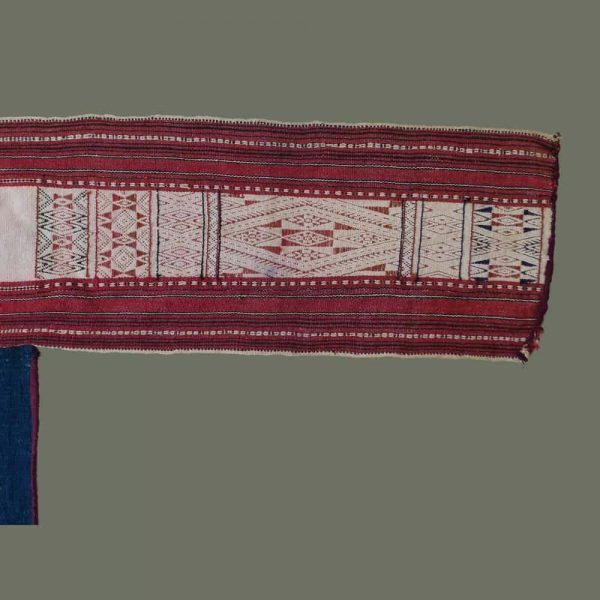 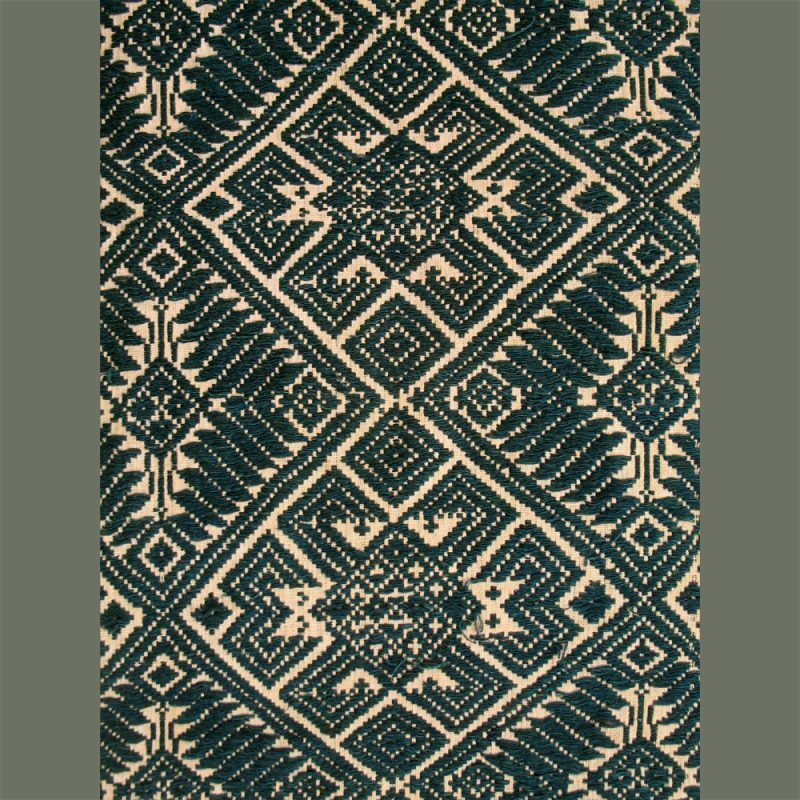 Please see Howard, M.; Textiles of the Central Highlands of Vietnam, p.124 & 192, #120.